The lone IMAX cinema in the Davao Region continues to deliver top-notch and quality entertainment as it brings Black Panther to this side of the country. Davaoenos are treated to the world’s most immersive movie experience in SM Cinemas—an easy choice for film lovers and enthusiasts alike—as the Marvel blockbuster debuts in big screen starting February 14. 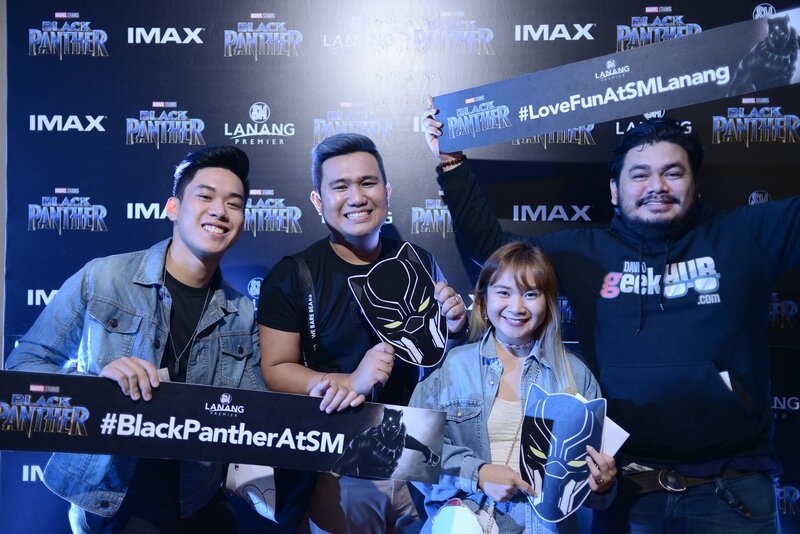 Last February 10, fans trekked to SM Lanang Premier to for an advance screening of Black Panther—they unlocked Wakanda and took part in the action that is uniquely IMAX. For screening schedules, visit SMCinema.com, download the SM Cinema app, or follow @smlanangpremier in social media.